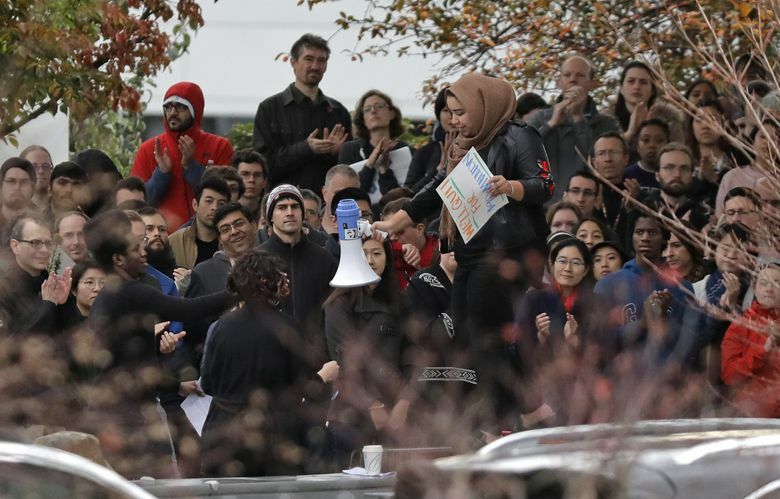 The walkouts at Google's Fremont and Kirkland offices were part of a companywide protest reflecting a growing #MeToo-style backlash among women against frat-house misbehavior in heavily male-dominated Silicon Valley. 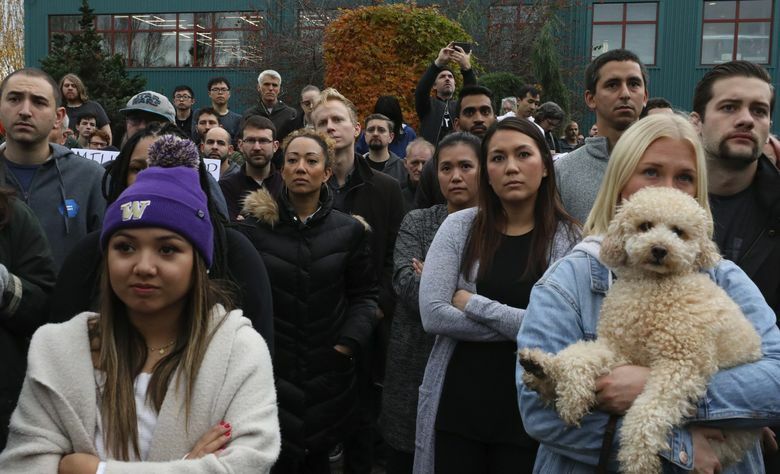 Hundreds of Google employees in Seattle and Kirkland joined thousands around the world in walking off the job Thursday in a protest against what they said is the tech company’s mishandling of sexual-misconduct allegations against executives. 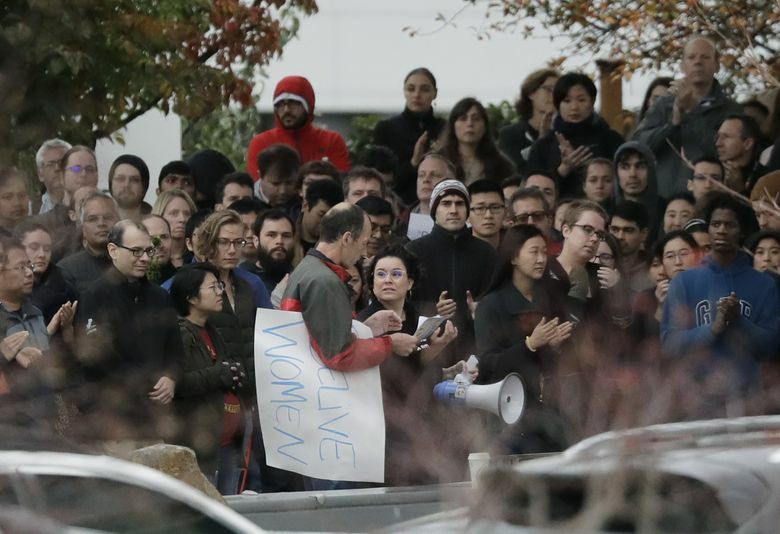 The companywide protests at sites from Tokyo and Singapore to London and New York reflect a growing #MeToo-style backlash against the treatment of women at heavily male-dominated tech firms in Silicon Valley and elsewhere. 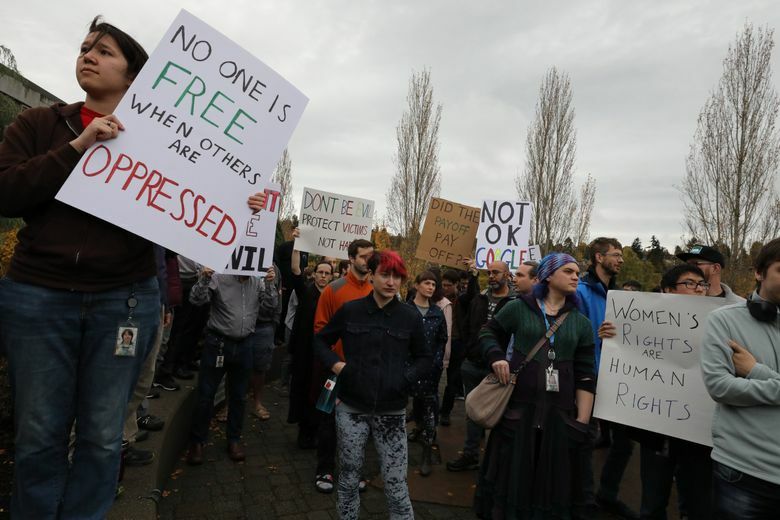 Protesters at Google’s Seattle offices in Fremont carried signs with such messages as “No one is free when others are oppressed,” “Not OK Google” and “Don’t Be Evil” — a mocking reference to Google’s one-time motto. 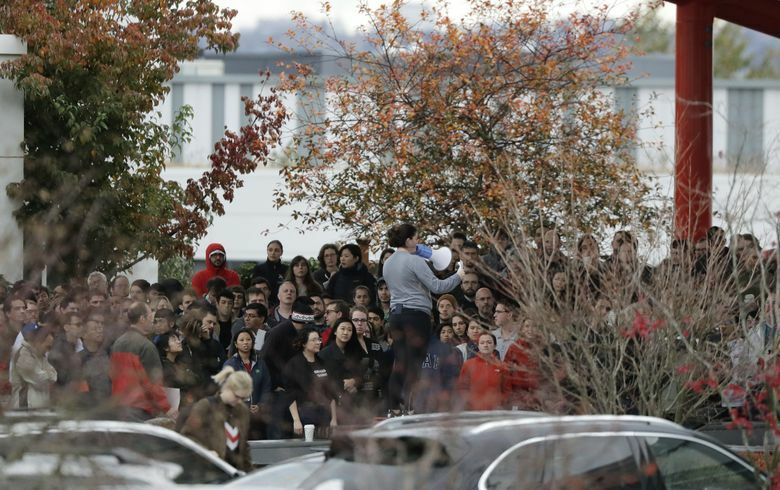 From start to finish, the walkout lasted less than an hour. 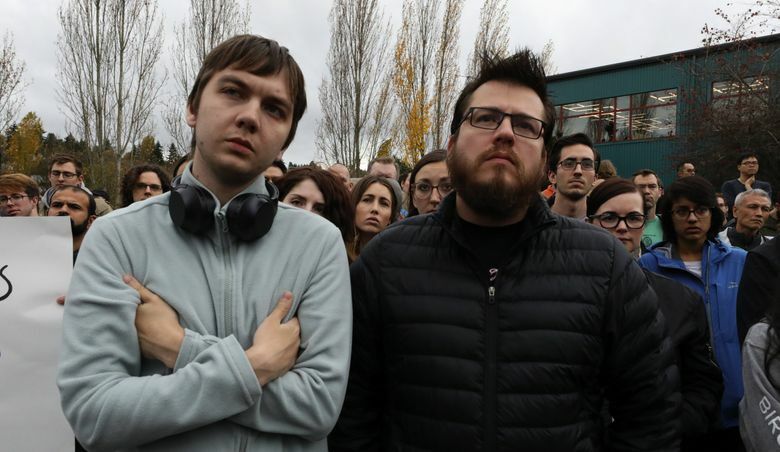 “It’s just kind of sad to see something like this happen in a place that is super liberal like Google,” said Alan Morales, 25, a software engineer in Seattle. 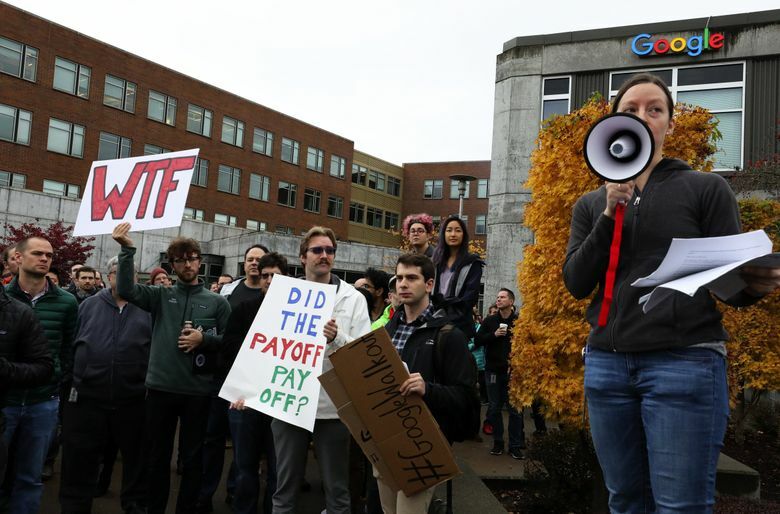 The protests were sparked in part by last week’s New York Times story detailing allegations of sexual misconduct by the creator of Google’s Android software, Andy Rubin, who reportedly received a $90 million severance package in 2014 after Google concluded the accusations were credible. Rubin has denied the allegations. The same story also disclosed allegations of sexual misconduct against other executives, including Richard DeVaul, a director at the Google-affiliated lab that created self-driving cars and internet-beaming balloons. 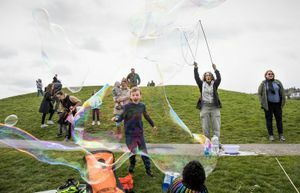 At Google’s site in Dublin, Ireland, organizers used megaphones to address the outdoor crowd of men and women, while in other places, workers gathered in packed conference rooms or lobbies. In New York, there appeared to be as many men as women out in the streets, while in Cambridge, Massachusetts, men outnumbered women by perhaps 6 to 1. Google CEO Sundar Pichai said in a statement that the company is reviewing all the “constructive ideas” from employees to improve policies and practices. Pichai last week sought to convince employees that the company had cracked down on misconduct, saying it had fired 48 employees, including 13 senior managers, for sexual harassment in recent years without giving any of them severance packages.